Live Real Estate Coaching when you need it! In December 2018, Applicants who failed theFlorida Sales Associate Exam 53% or Broker State Exam 43%. You don’t get what you need from the classroom environment. Course content was not clearly understood. The class seemed rushed to finish. You feel more comfortable asking questions 1 on 1 with an instructor. We want to be your partner in your Real Estate Career. The call is free! Call Now! Prepare for your Florida Real Estate Associate Exam or State Exam. $200 for 2 hours of One on One Coaching, reviewing areas where you need assistance. Additional blocks of 1 hour available for $100. 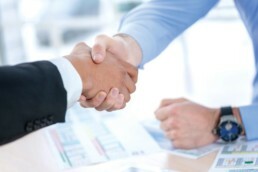 Get help working through complex deals or working with challenging situations. Don’t let test anxiety get to you. Call and get the help you need. $400 for 2 hours of One on One Coaching and reviewing areas where you need assistance. Additional blocks of 1 hour available for $200. Move forward with your Brokerage career. Get expert help when you need it. One on One Live Coaching like this! Fill in the required fields, pick a course, enter when you would like to start, and then select "Submit Your Request" to set up your individual instruction! We accept Bitcoin payment for live coaching? Click to buy Bitcoin Now!